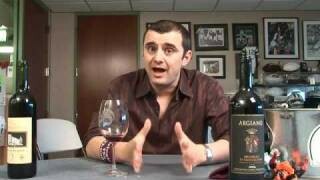 Gary Vaynerchuk tries a Lambrusco and talks about the sparkling wine that has a funny reputation from the enormous success of Riunite. Having trouble viewing this video? Try the Quicktime version. 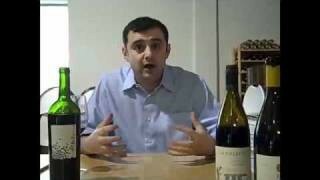 EP 6462004 Italian Brunello’s are Red Hot, Today Gary Talks About Them. Yes! 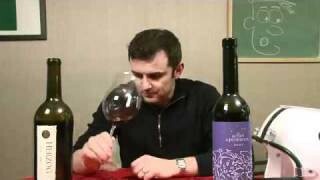 I had a great semi-dry Lambrusco last year, the 2006 Tenuta Pederzana Lambrusco Grasparossa di Castelvetro Semi Seceo. I would recommend it to anyone. 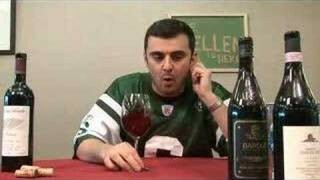 I have had several, this was a favorite of my Grandma’s and I am not talking the Ruinite shiz either 🙂 Thanks for this show, I emailed you a while ago about Lambrusco and you were gracious enough to reply, you rock GaryVee. When I was a teen I visited Germany and Lineavini made a lambrusco that seemed in every single shop. I really liked it at the time, but I’d probably think it was crap if I had it today. Just returned from a week in Emilia Romagna last month. It was ubiquitous and very affordable over there. Had it with most of our meals. Most of them very locally produced and not exported. I loved it. Searching for sources here in the US. Apparently Riunite Lambrusco can still be purchased here. I might try it just to compare. I’m sitting here drinking Labrusca Rosso Reggiano Lambrusco as I’m watching this. What I’m drinking is a slightly drier version of Lambrusco, a great Summer version of the wine. Would be a good accompaniament to anything off the BBQ. This guy is too much fun to watch! Just came across this episode and enjoyed watching it. 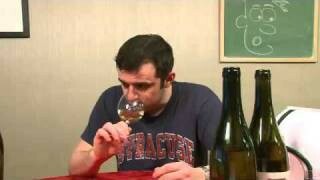 – No Lambrusco is made in Romagna (that’s Sangiovese, Albana, etc. territory – by law). THE Lambrusco regions are all centered in Emilia (the Northern part of the Emilia-Romagna region) though one of the official Lambrusco zones is located in Lombardia. Lambrusco is also grown in Puglia/Apulia but THE finest, authentic frizzante (and still) Lambrusco versions are all made in and around the cities of Modena, Parma and Reggio. – TBH, TTB actually doesn’t allow to list the alcohol percentage as “8.5% plus 2.5%” on wine labels. It means that the potential alcohol would have been 11.0% if all of the residual sugar would have been converted into alcohol (and CO2). I agree, Lambrusco has come a long way since AR (after Riunite). As a matter of fact two Italian Lambruscos [Lambrusco Reggiano DOC Secco ?CONCERTO? (100% Salamino; single vineyard) by Medici Ermete and Lambrusco di Sorbara DOC ?VECCHIA MODENA PREMIUM? by Cleto Chiarli] have both just (last month) received the prestigious TRE BICCHIERI award by Gambero Rosso, Italy?s most important wine guide (Gambero Rosso 2010/Italian Wines 2010) last month. This marks the very first time that any Lambrusco has ever been given this special recognition. – Another sure sign that (REAL/QUALITY) Lambrusco has FINALLY superseded its tarnished image in the USA. Thanks for the input, I've been curious about getting more serious about this variety but have not done the research. I first heard about Lambrusco by my former food/bev instructor, he is Sicilian and tended to highly regard most Italian wines including the everday vino di tavolas. 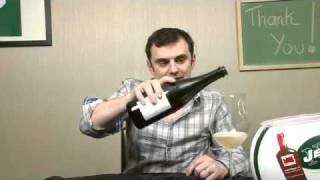 So I was skeptical to try and enjoy Lambrusco. But what I've learned is that they vary a lot, and that is what I feel has brought it forward to the spot light. Some are flabby and sweet while others can seem bone dry with a gravely texture and rich minerals. These are excellent wines to experiment with food pairings, and like Gary V, I also tried it with egg at breakfast the first time I had it. It seems to work well with heavy buttery foods in general, and I heard that it classically pairs best with its regional counterpart cheese, Parmigiano Reggiano! 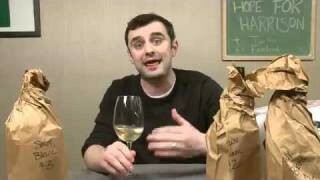 Came back to watch this again because we were talking about Lambrusco in my wine class. I noticed this bottle is an IGT. Why is that? Is all Lambrusco IGT or is it mostly DOC? 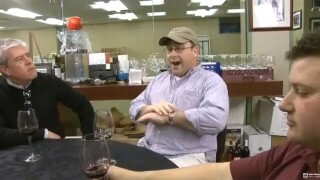 Some more research: I’ve started to write/post the ‘Lambrusco Chronicles’: “15 Years in the Making: The resurrection of Lambrusco (in the USA)” http://www.prontolambrusco.com/lambrusco-chronicles.html It also includes Gary’s Lambrusco video from 2009. BTW, 2009 was the ‘official’ break-through year for Lambrusco in the USA. Perfect timing! We’ll be posting addition interesting Lambrusco links over time. Two things had to be accomplished in order to resurrect the reputation of Lambrusco: a) a brand-new lambrusco image had to be created and b) a brand-wine category (fizzy wine) had to be established. We worked on this relentlessly for over 10 years. True (controlled: origin, yield, style) Lambrusco is still and will always be a DOC (now DOP) wine, but, for instance, if you add any non-approved grape varieties, such as, 10% Cabernet Sauvignon (it’s done) you can only sell it as an IGT. There are other reasons, for instance, someone might not want to pay any fees to the lambrusco consorzio, makes wines from purchased grapes or juice, etc., etc. An IGT lambrusco should always be evalutated in connection with the reputation of the producer. – “but they bought the grapes and put it on the bottle”: The made all of their lambrusco with purchased grapes. – “Ceci are many times ago close for sofistication of the wine”: Ceci was shut down by the authorities for DOC violations some time ago. No doubt this wine is probably good. But I wouldn’t insult Riunite. I had one brand of Lambrusco other than Riunite. It was more expensive so I assumed it would be better. Boy was I wrong, it was similar to Riunite but not quite as smooth. Riunite Lambrusco is a great wine, because of it’s soft flavor many non-wine drinkers can enjoy it… I love nothing better than to share wine socially. It has great balance between sweetness and bitterness, also, the slight sparkle adds an element of refreshment without foaming up. I would try any variety of Lambrusco once, but to beat the taste, price and universal likability of Riunite brand Lambrsuco would be hard in my opinion. QOTD: Yes, I’ve had about 3 or 4 other ones. 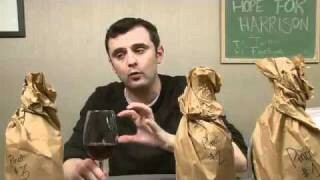 I like Lambrusco, it’s a fun simple and tasty wine based on my experience. 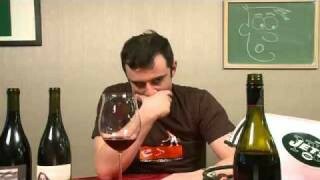 I agree that Riunite Lambrusco is actually pretty tasty particularly when considering the price.